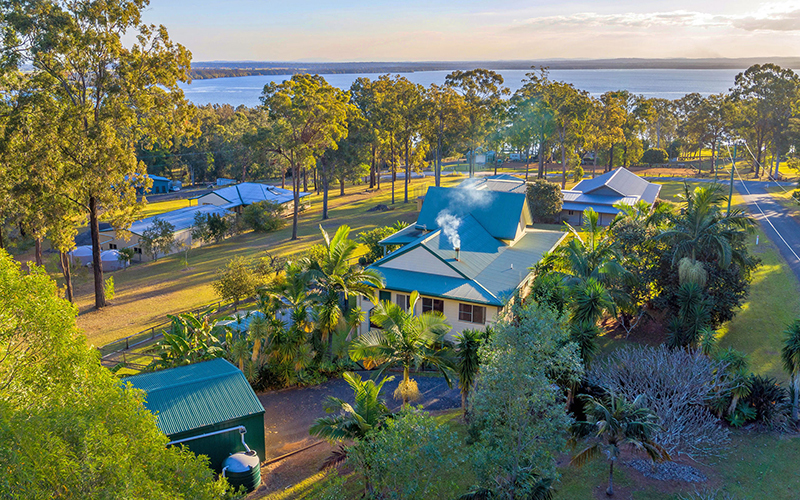 An amazing lifestyle setting taking in majestic views of the Broadwater inlet. An expansive tidal lake of water meandering off the Clarence River, that looks simply spectacular on sunset and on a moon lit night. 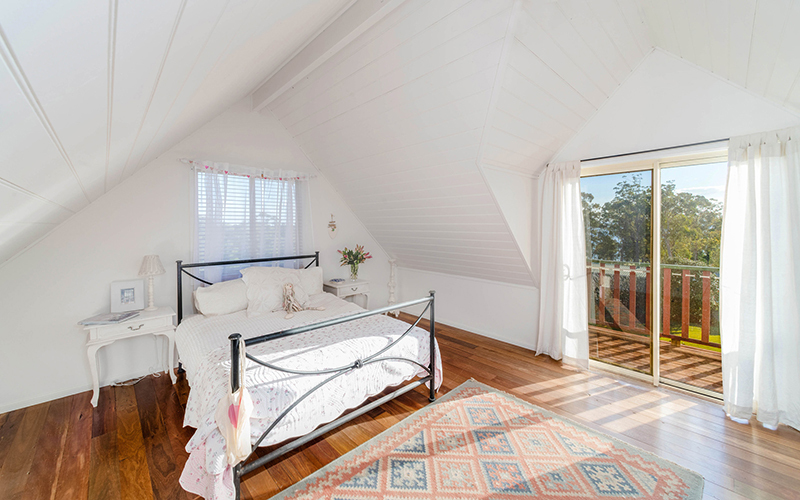 Set on over 1¼ acres, offering a fenced garden with an abundance of mature plants, that has a cottage style feel – perfect for children and pets to play safely. This unique home has loads of character and enjoys warm winter sun plus cool summer breezes on the wrap around verandahs and is sure to pull at many a heart string with a cosy loft, that has its own little balcony. A bitumen driveway leads to a large two bay shed plus there are two ramps providing easy access into the home. Stepping inside it just feels so homely with high ceilings throughout, open plan living and lovely white shutters. 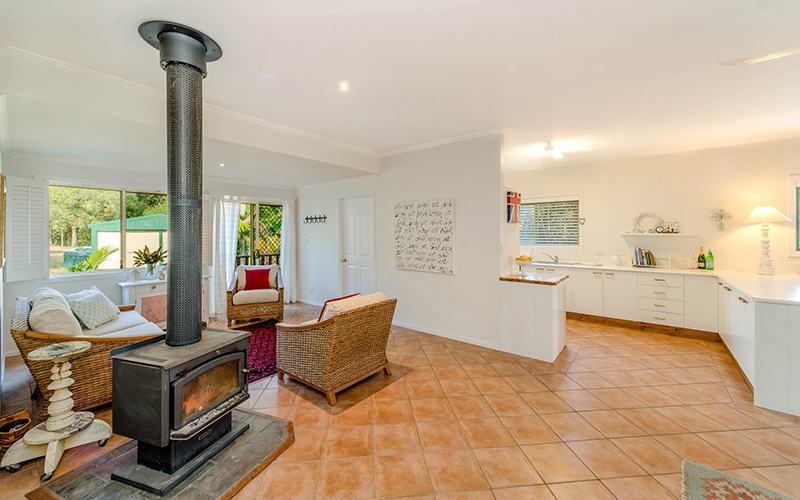 Featuring a wood fire to warm the home in winter and air-conditioning to keep it cool in summer. 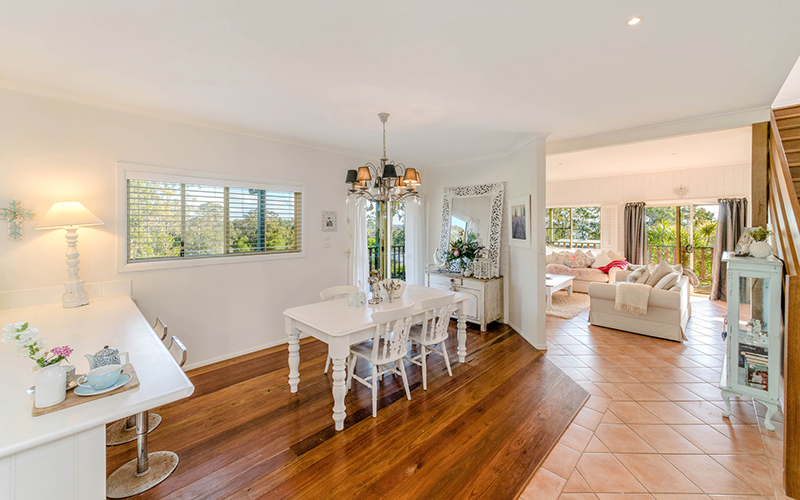 Boasting a family area, separate dining with polished timber floors plus a good size kitchen with breakfast bar and a tiled lounge area with study alcove. On this same level, you will also find two good size bedrooms with built-in robes and ceiling fans. The larger of the two bedrooms is air-conditioned and has sliding door access to the side covered verandah. There is also a bathroom with separate toilet and a large laundry. A timber staircase leads up to the loft, that boasts polished floors and raked ceilings. This spacious level is roomy enough for a bedroom suite plus sitting area and could accommodate an ensuite if you desire. This bearers and joists home offers plenty of flexibility when it comes to design and this picturesque setting offers you privacy, whilst still being part of a great little community. With school bus pick up just a few klms away, beaches within easy reach plus many other local events and services available. Recently listed for $499,000 for more details contact Jenny or Troy Betterridge or Toni Skinner at Maclean Local Real Estate on PH: 66453433.